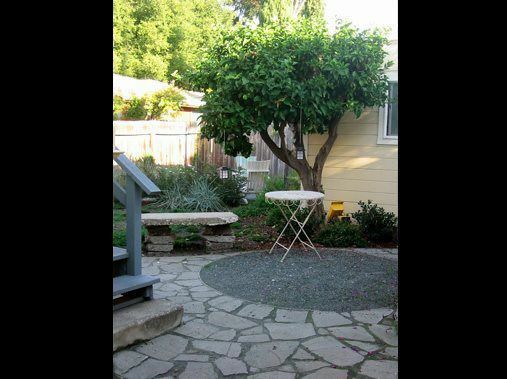 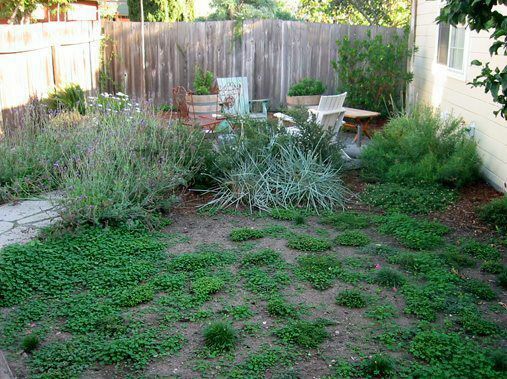 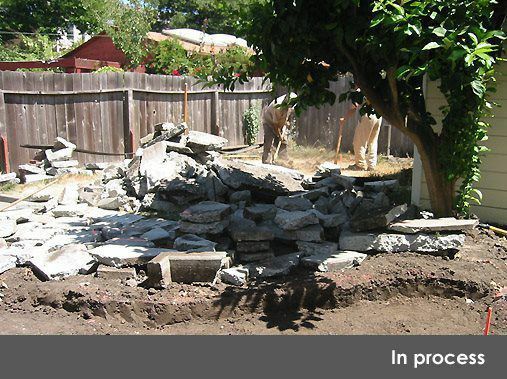 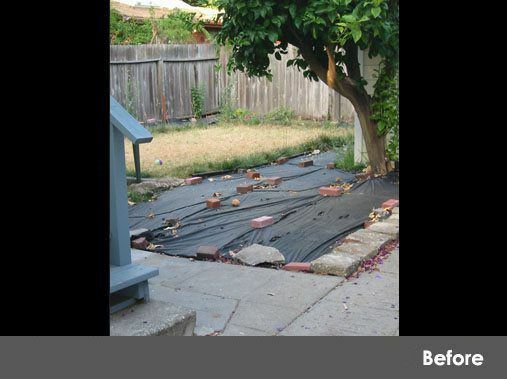 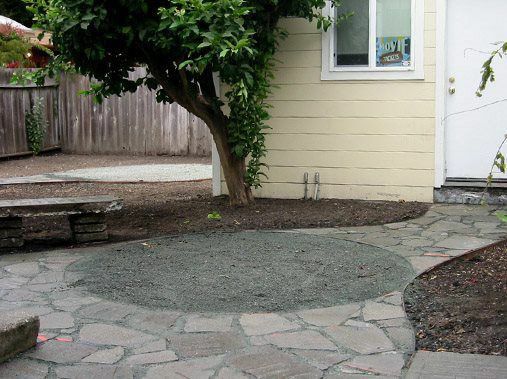 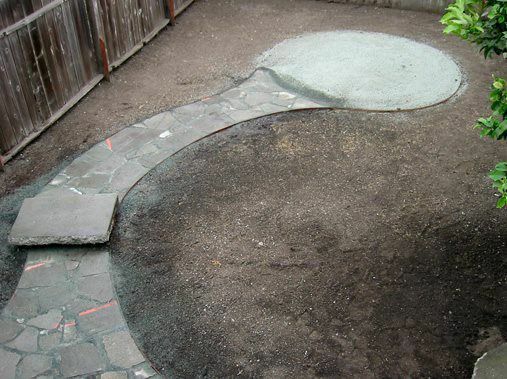 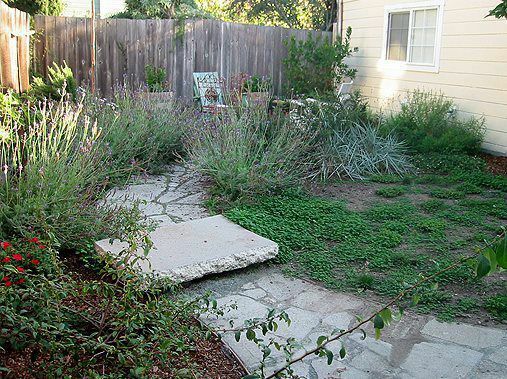 This green landscape utilized existing concrete which was broken up and then re-set. 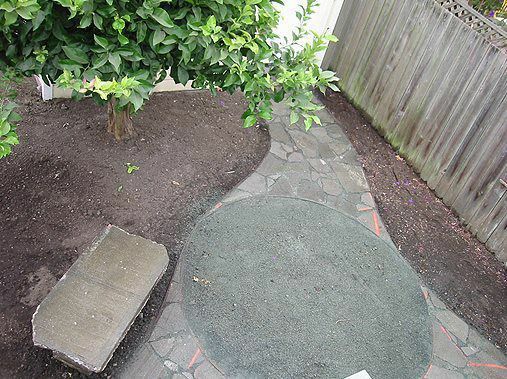 A bench and "bridge", also made of concrete, became architectural features. 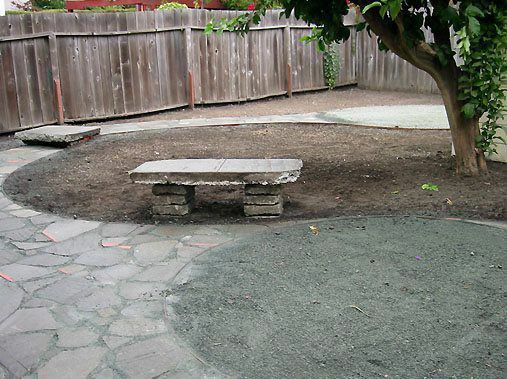 The texture of the seating areas, paved with bluestone fines, complement the broken concrete pieces. 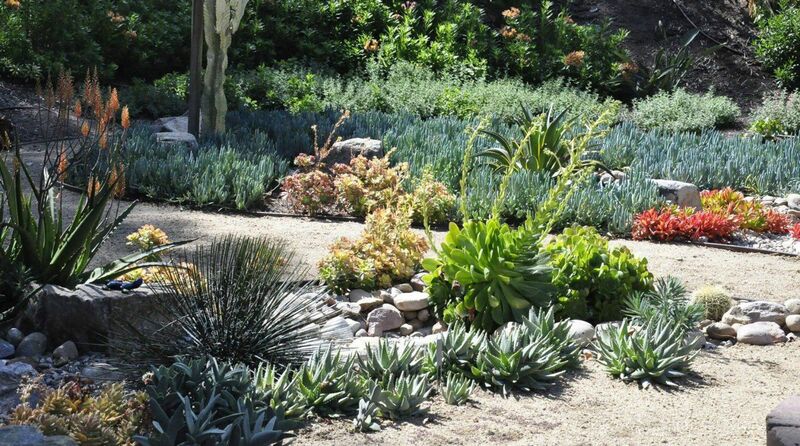 My clients implemented the plantings themselves.